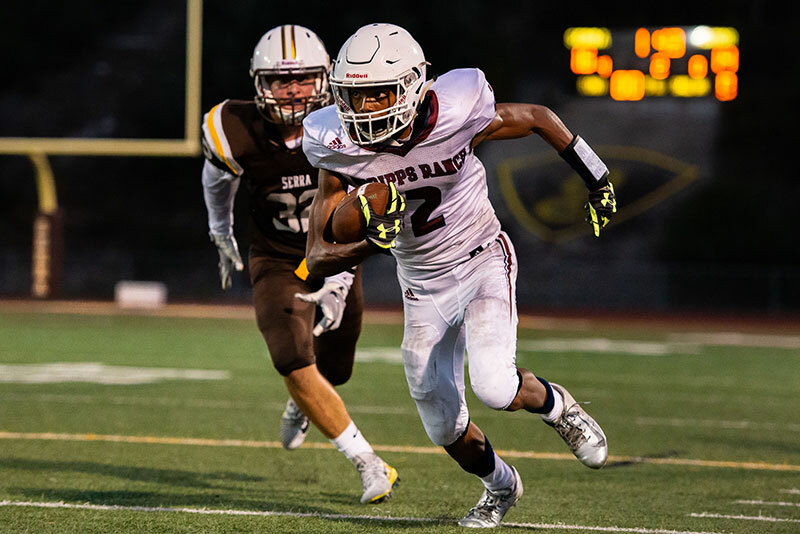 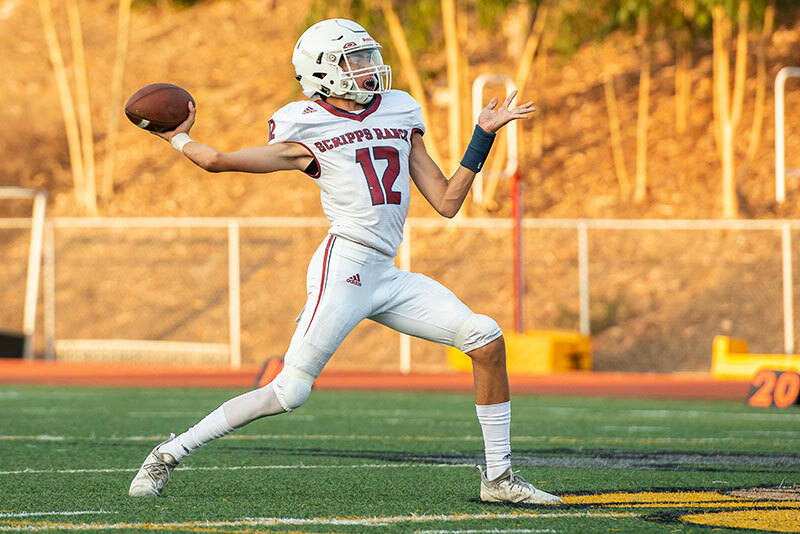 The Scripps Ranch High School varsity football team captured a 28-22 victory in its season opener at Serra High School on Friday, Aug. 17. 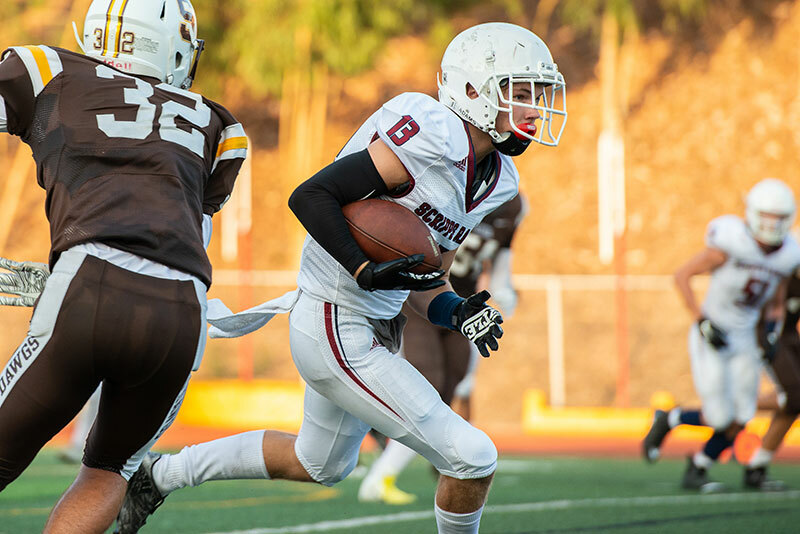 The teams began with turnovers, each throwing interceptions in the first series, before the Falcons punched in the first TD. 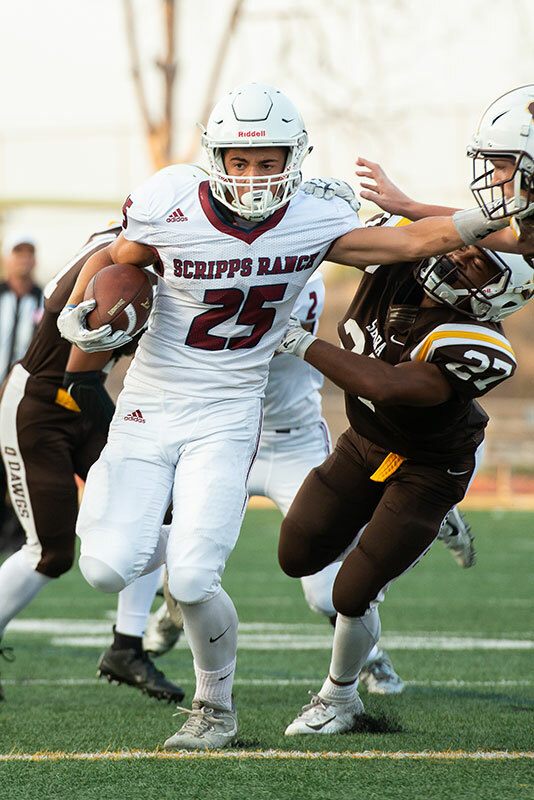 But the Conquistadors came back and Scripps Ranch soon found its team behind. 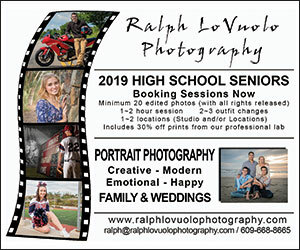 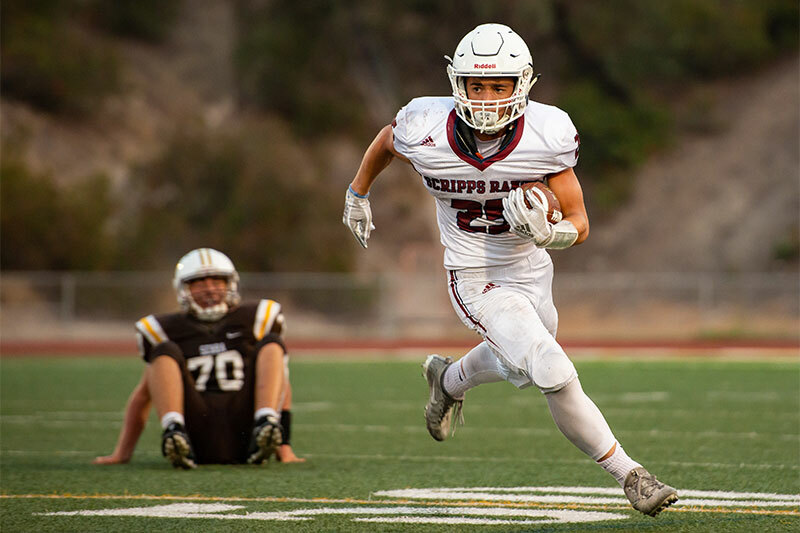 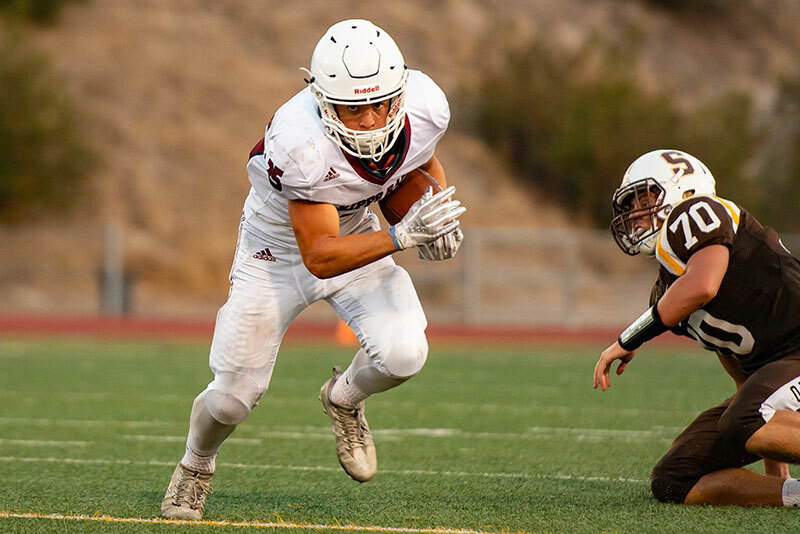 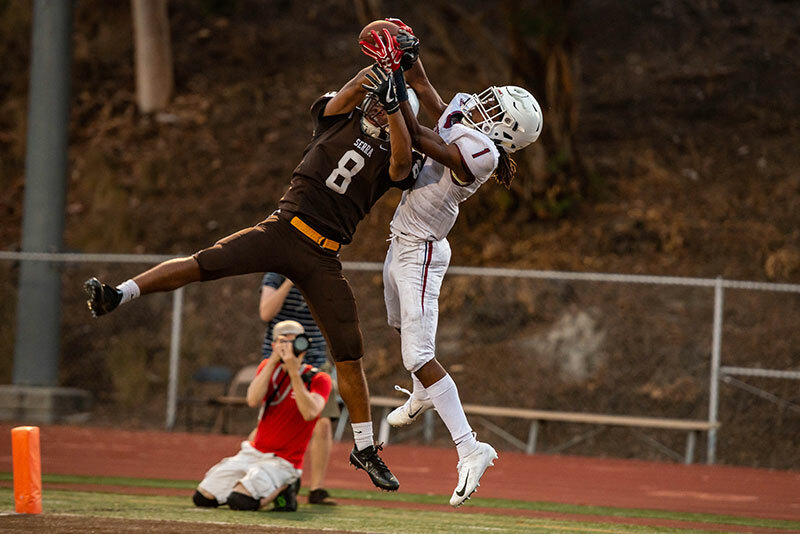 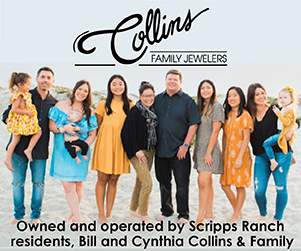 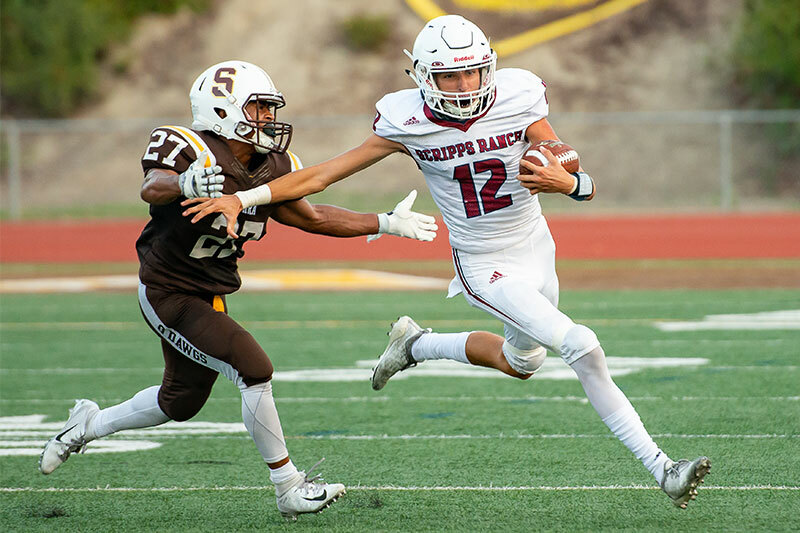 Then, the Falcons offense woke up, scoring 21 consecutive points before the Conquistadors mounted a late comeback effort, which was not soon enough to prevent a Scripps Ranch victory. 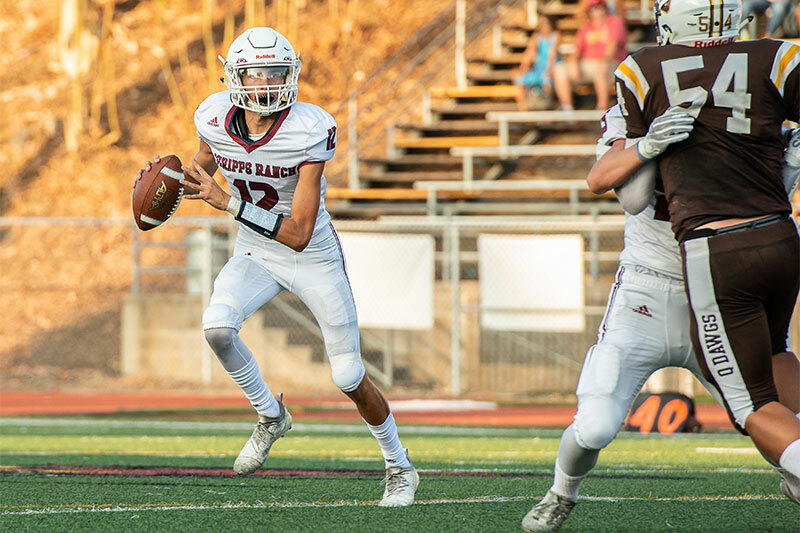 Earlier on Friday afternoon, the Scripps Ranch junior varsity team shut out the Serra High School JVs 21-0.